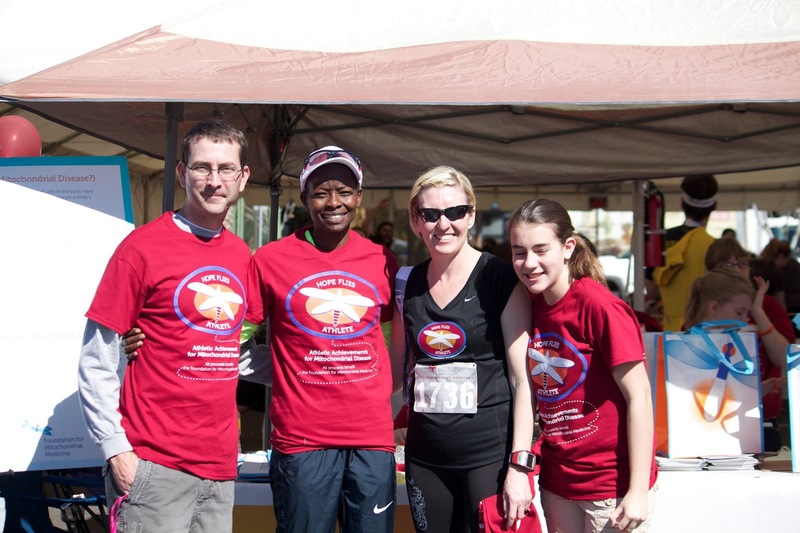 We have some awesome people who have joined and supported Team Belnap. Thank you! This is another step we are taking to change the fact that there are NO effective treatments and NO cure for Mitochondrial Disease. Please take a look at this fund and consider a donation if you can. Even a $5.00 donation helps. I hate asking for donations and am definitely out of my comfort zone asking this. This donation is tax deductible. 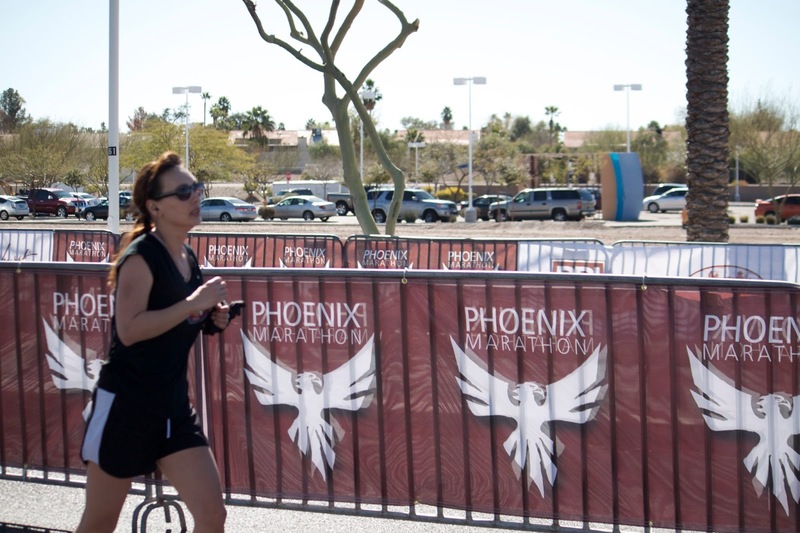 I arrived at the Phoenix Marathon finish line later than I expected. Road closures, traffic, etc were all to blame. We were scrambling to get things organized when over the loud speaker I heard. 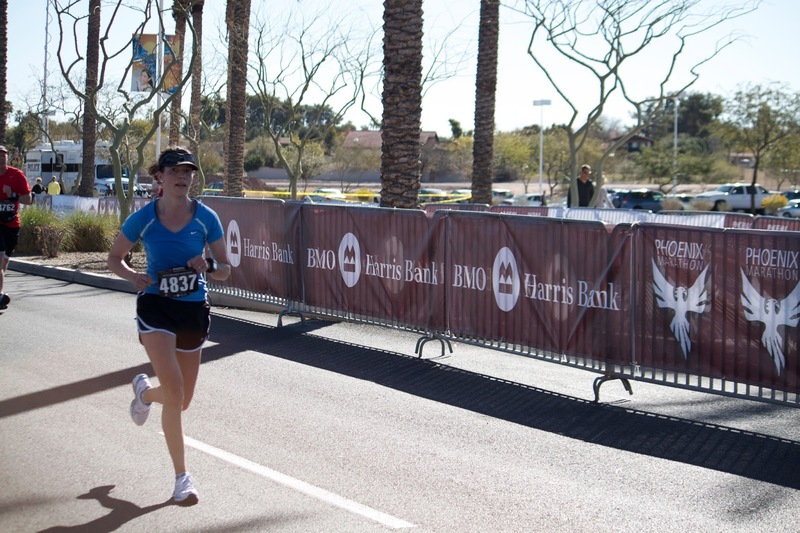 "Here comes the first of the 10K runners. This runner is all the way from Atlanta, Georgia. 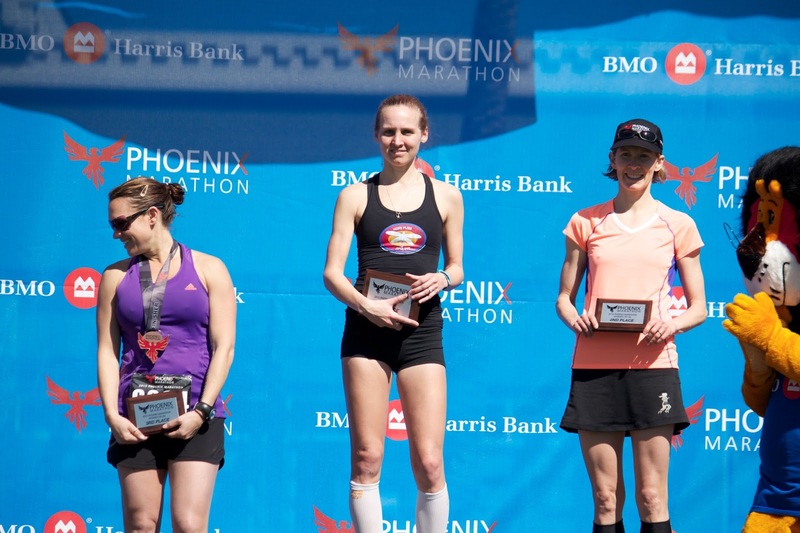 Mackenzie Howe wins the 10K." I began high fiving the volunteers at Team Belnap's booth which were my two daughters Sydney and Sierra and my niece Emma. 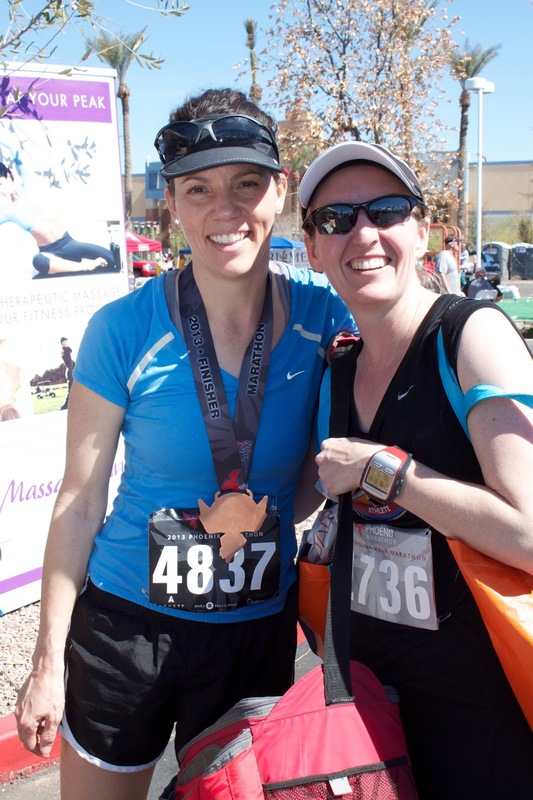 I rushed off to see who had won the half marathon and sure enough, another Team Belnap member on top. 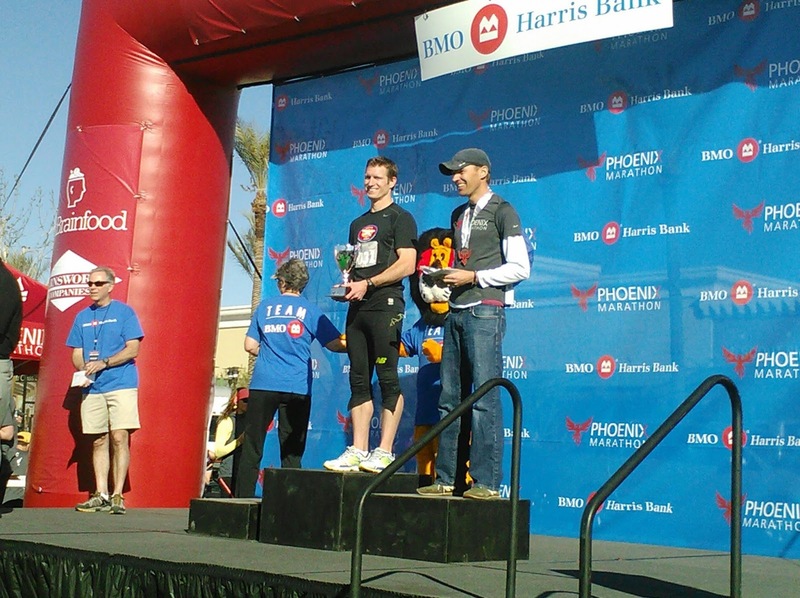 Josh McAdams won the half marathon. I knew Josh was fast. He was a former Olympian in the Beijing 2008 Olympics. But, Josh was FLYING. This was going to be a great day! 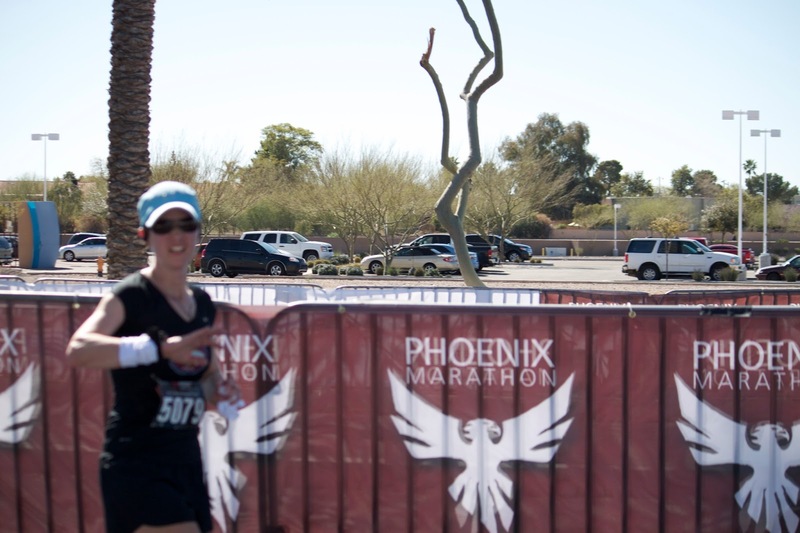 I wanted to watch the runners come in. 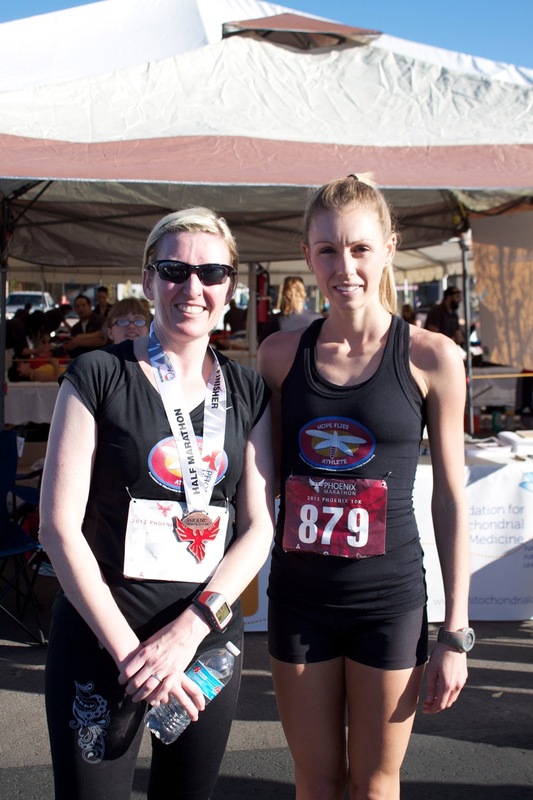 I knew we would soon see Whitney McAdams and then Becky Belnap, then the marathoners would come--Jill Horst, Amy Clark, Rena Brady, Annette Mangan, and Heidi Garner. 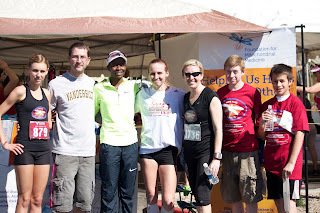 I watched Whitney come flying through the finish line, snapped a few photos, and went back to our booth. 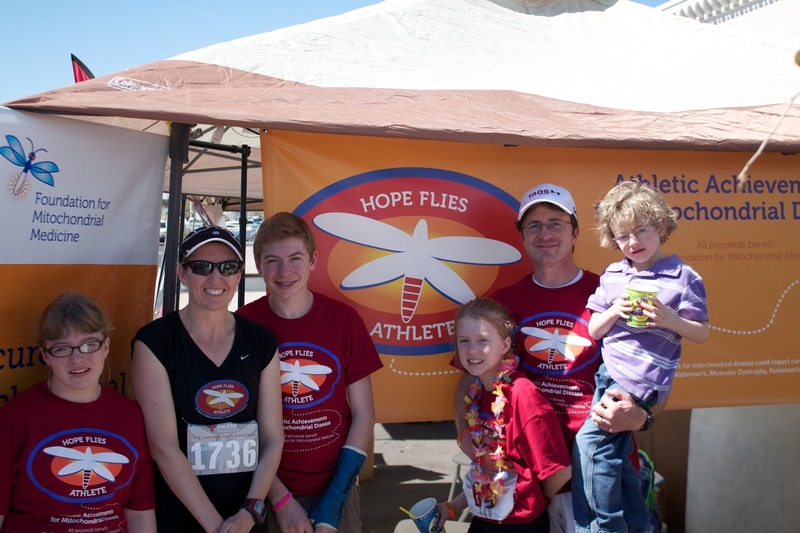 One by one, they all finished all wearing the black Hope Flies Athlete shirts supporting Team Belnap. Then came the kid's race. 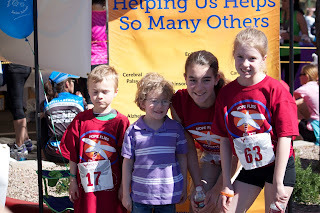 Emma, Jake, and Sierra all ran the kid's race. 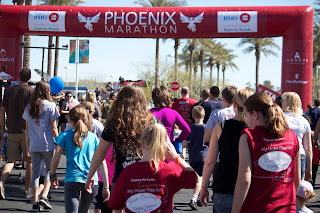 This was very cool to see these awesome kids running for some awesome kids "who can't." This leads me to my closing for this post. Why not end with another maritime analogy. When I was taking cardiology in PA school, Dr. Therrien, a well known and respected cardiologist, was teaching about congestive heart failure and used the line: "Water, water everywhere and not a drop to drink." In congestive heart failure, water backs up because there is something causing the pump to fail. It's very important to find the reason why the heart is not pumping properly. Dr. Therrien was referring to the famous line in The Rime of the Ancient Mariner written by Samuel Taylor Coleridge. This is a fascinating poem about a sailor who has returned from a long sea voyage. The mariner relates his experiences to a man who is on the way to a wedding ceremony. The wedding guest has an important part in the wedding and appears bewildered, impatient, annoyed, fearful, and fascinated as the story progresses. I am the mariner who is sharing my story...a story about a day in the life of a dad and his children who have mitochondrial disease. My story is like so many others who have mitochondrial disease, I have felt "as idle as a painted ship upon a painted ocean" but now, the the paintings are coming to life. We are moving. It's time for this mariner to tell the world about mitochondrial disease. One venue will be Team Belnap: we swim, bike, and run because they can't. 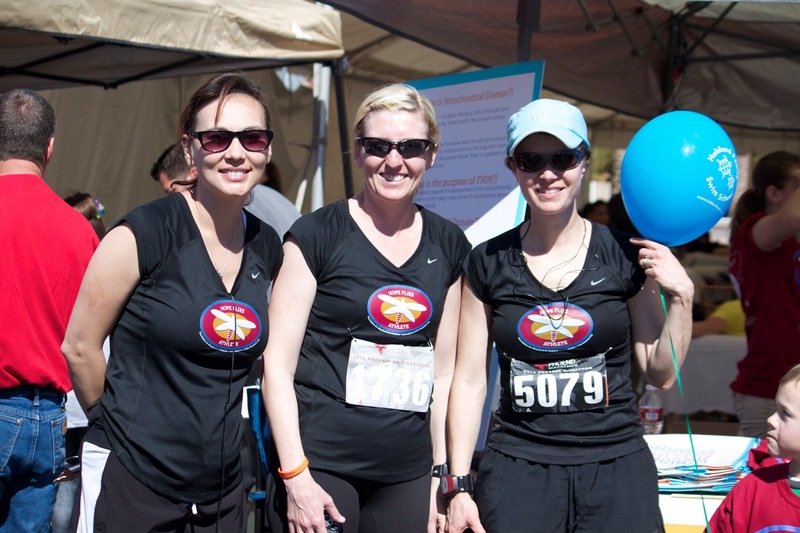 Team Belnap's goal is to increase awareness of Mitochondrial Disease. We want to raise money for research so better treatments are available and one day to find a cure. 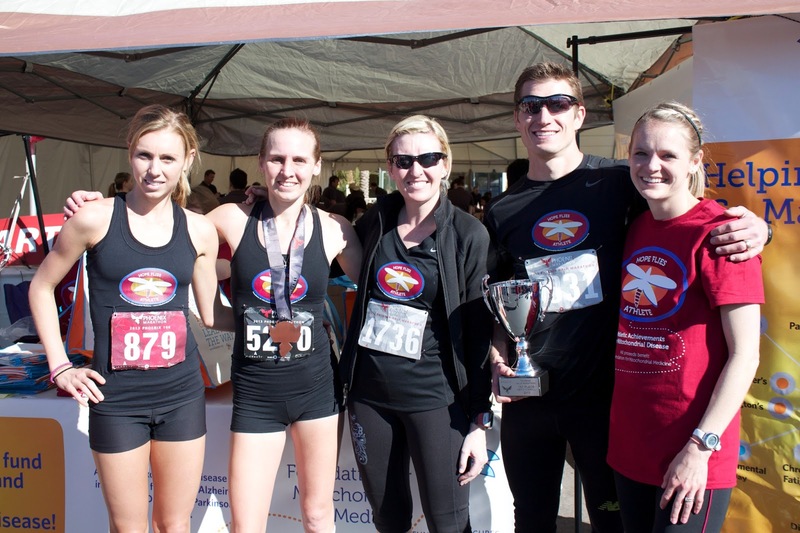 We raised over $1,800.00 for mitochondrial disease research at the Phoenix Marathon. We gave out over 400 bags and fliers. We spoke with hundreds of people. 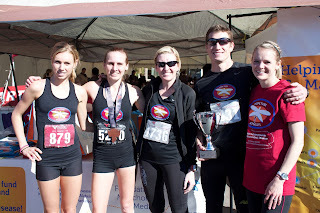 Our Hope Flies athletes were on the podium. So...does hope really fly? I'm convinced that it does. 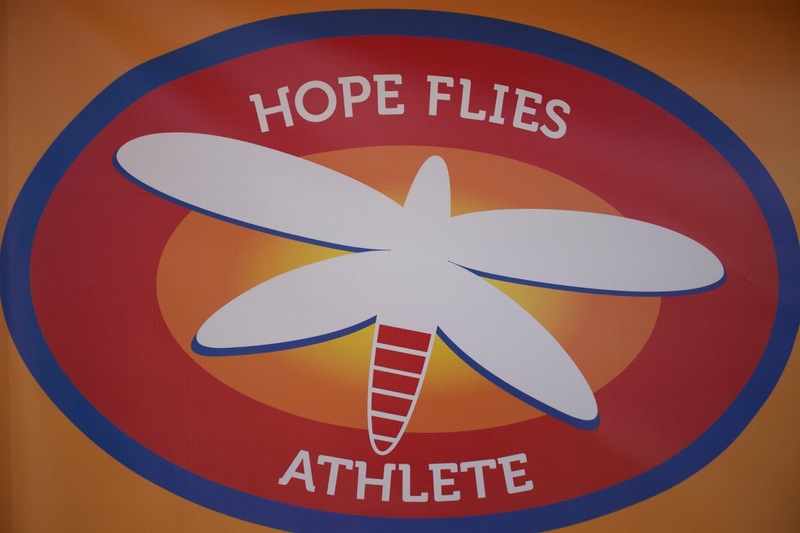 If you could see how fast Josh McAdams, Mackenzie Howe, and Jill Horst can run...you know that Hope Flies. If you could see the enthusiasm in members of Team Belnap, you know that Hope Flies. If you could be on the receiving end of such love from family, friends, and strangers, you know that Hope Flies. 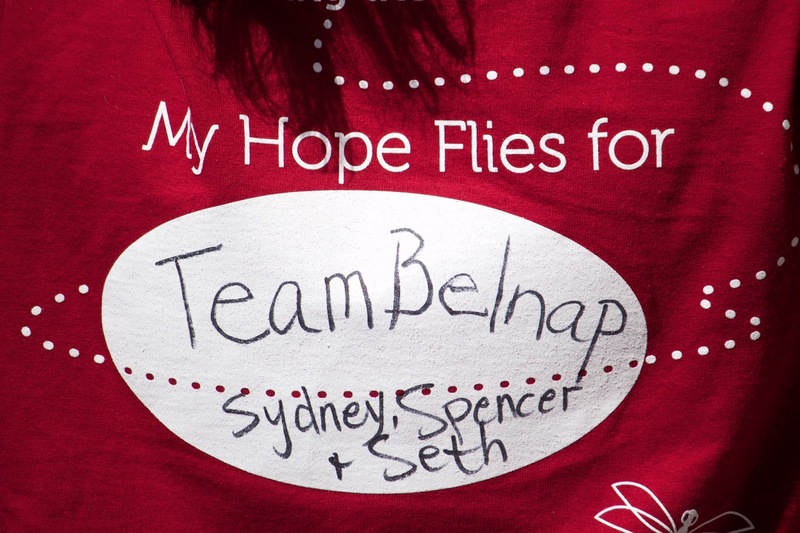 Thank you to all who have supported Team Belnap. Thank you to my brother Kevin and his family for their support. This is just the beginning. 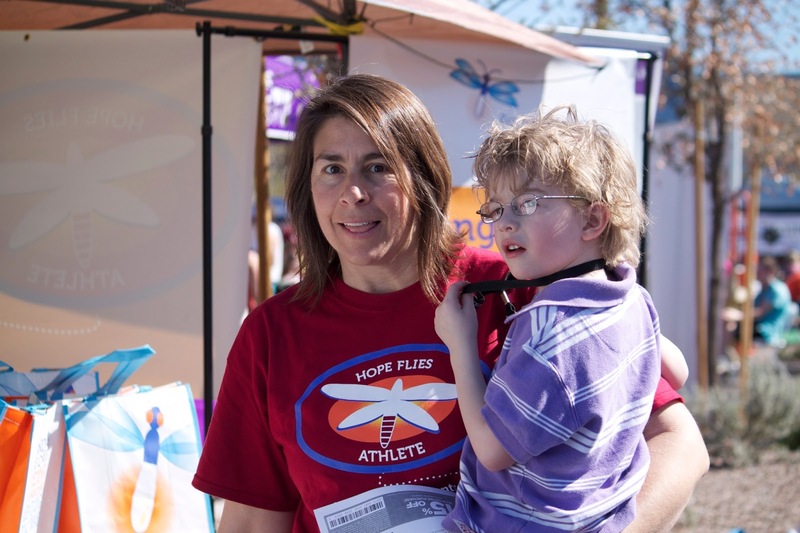 Seth and his Aunt Catherine Seth says: "I lub Aunt Catherine"
Some awesome kids running for some awesome kids "who can't"
Belnap family puts faith in TGen. I have so much respect and admiration for TGen and the Center for Rare Childhood Disorders. 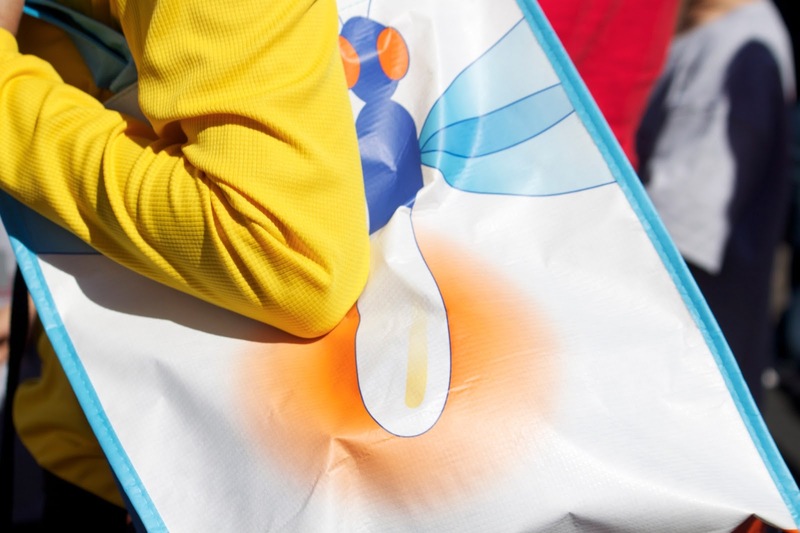 This is the company that found the gene causing mitochondrial disease in my family. This company has incredible potential for families like mine and countless others who suffer from rare genetic diseases. Check out this video they made of our family. Please share this video with your family and friends. Help us fight this disease. Help us raise awareness. Help us help other families out there.